This is the busiest period of the year, unluckily. I have been under water for work and studying for my exams. 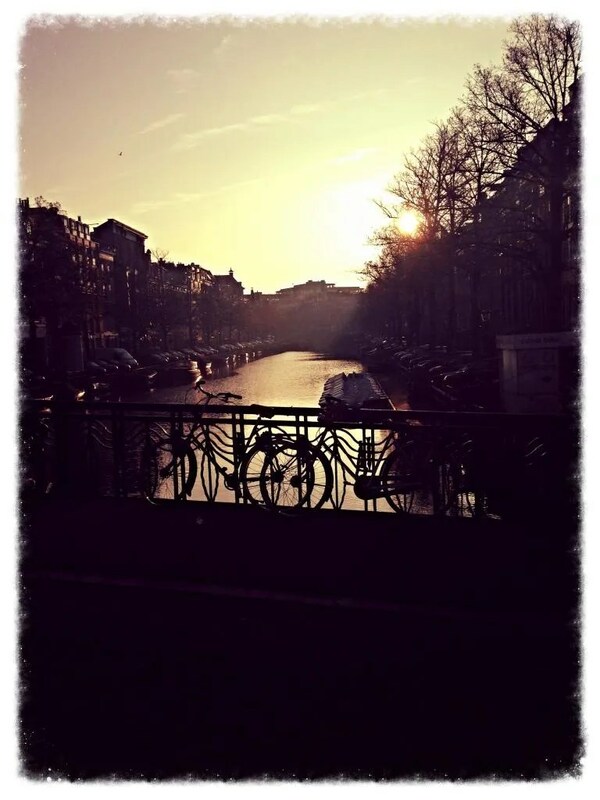 I spend part of my working time in Amsterdam and this month I did not want to leave at all. Business trips are always kind of nice: you don’t have to cook, to wash dishes, you don’t have to clean your house. Normally you do reasonable working hours and having people around is something different than my day to day job. Even if I was really tired at the end, I decided to write a small bit on my Amsterdam’s favorite places. My relationship with Amsterdam, like all the long and fashionable relationships, did not start well. In the first trips on my own I was finding the city pleasant, yes, but extremely touristic. I was annoyed by so many people “out of it” around and after a while it seems to me I was finding shops selling all the same kind of things – kebab, chocolate, silly t-shirts. When I started to travel to Amsterdam for work, being out most of the time with Dutch people or, at least, people that are living in Amsterdam for long time and that have a different approach to the city than teenagers during their Interrail, I started discovering different areas of the city and I definitely fall in love with them. My beloved eating spot is Momo http://www.momo-amsterdam.com/. It is just off Leidseplein. You can head there for a drink or a dinner. It is not extremely cheap but it is the kind of place you go for a date or with someone you want to impress. You can have fabulous cocktails and tapas style fusion dishes. They have impressive sushi and the environment is business but fresh and noisy. Reservation recommended. A more low profile place where you can have a beer (they have more than 100 ) or something very Dutch to eat is the Gollem http://cafegollem.nl/overtoom/. The one I usually go is located in Overtoom, tram n.12, 5 minutes walking from Museumplein. The location is old style and the customers are mostly Dutch, on the hipster side. You can have some nice snacks with your beer (fried Gouda mmmm!) or a proper dish (try the Flemish Stew!). On the shopping side you have more than one options: as said, in city center you can find all the high street brands. I love loosing my mornings off going down with the tram on Leidseplein and follow bus n.2 till Kalverstraat. You should have a bit of patience, good gloves during winter and you can stop by at the small Starbucks in front of the flowers market for a break. You have also your “Montenapoleone” area, that is represented by PC Hooftstraat (tram n.2, 3, 12, just next block to Museumplein). But, honestly, you can find Gucci and LV everywhere around the world.. I prefer to go locally and my favorite shop is for sure Rituals (http://eu.rituals.com/en-nl/home). I am not a fan of beauty products with strong smells, but those from this brand are never too much. The fragrance of your bath or shower is following you smoothly during the day and they have great consistence. I love the Hamman series and I have just discovered the Diwali line they did for Christmas time. They have just started also a complete men line with aftershaves, balms, creams. And then, just because I cannot find it in Luxembourg, I love stopping at COS. I think the person you invented this brand was friend of mine in one of my previous lives, because there is nothing in the shop I would not buy. I love their minimalist lines and the colors, all black with some bright exception. I really hope they will hope a shop soon in Luxembourg, because so far they don’t even deliver their online shopping here, therefore you should really travel to buy something. So, do you like Amsterdam? What are you favorite places over there? I’ve been twice to Amsterdam and it’s nice but there are other places in The Netherlands that I find more pleasant. I am also a huge fan of COS and I mainly shop there (when in London, Germany or Italy). It’s a shame that they don’t have a store in Lux!